I was going to sell this Victrola No. 4 I had rebuilt today, but I decided to keep it after all. Has anyone ever run across a No. 4 such as this? When I took it apart, the gaskets were original and it had clearly never been apart before, and everything fits together perfectly as well. Wait a sec... it's a re-branded HMV #4. Look at the front nickle part... no grooves. Yes, most HMV #4s you'll find have an engraved back, but the earlies had the engraving under the mica and a smooth back. I wonder... was there a shortage of Vic 4 repros and did a dealer import some HMVs? This might actually be a cool find. I wish I could answer your questions, but I do not have the answers! I can tell you for sure that the gaskets etc were original and I can tell it had never been taken apart. It does look more like an HMV, but the Victor decal is certainly original. I took a break from work here to pull out all my HMV #4s, including a couple earlies with the smooth back. ALL of them have backs that are notched out at the needle bar... but no Victors do- they are round. See the flat spot/ notch at the bottom? I've never seen an HMV without it, only Victors. At first I was leaning towards a home- made under- the- mica decal. But there's just too much about this that doesn't add up... in fact, enough that doesn't add up that it can't possibly be homemade or really a hybrid, either. Here's the other interesting thing... it's impossible to swap a Victrola 4 back onto an HMV 4 front... at least in my experience. The raised area on the Victrola back is too big to fit the HMV front. The HMV back will fit the Victrola front, but it's a very sloppy fit- it basically swims around- and the screw hole pattern is close enough that you can get the screws in, but the last one will not sink down into the bevel. I know I'm geeking out over little details here but this is just fascinating as all hell to me because it's exciting to see something I've never seen before on a common part of the type I've been upgrading all my machines with for at least the last 45 years, LOL. I'm in the middle of a huge project right now & will have a great payday at the end... but I just can't do this ATM or I would be all over it. I've decided to keep it for now, this is all very interesting! I can't remember exactly where I got it, it must have been a Stanton auction in the last few years but I don't recall for sure. It's been sitting in a box since I got it and finally decided to rebuild it today. Now that I know it's not just a run of the mill No. 4, it's a bit more interesting to me. Since all of my machines use exhibitions of some sort, I never really put much thought into it, but now that you pointed it out, I've not seen a No. 4 without the grooves on the front before. I'll move this to machines for further discussion. This might be a long shot, but could this possibly be an export model No. 4? I know most of the Japanese and the Canadian Victor things were marked to designate the export country, but this might pre-date the markings? I've seen the JVC Orthophonic reproducers, which were actual Victor/JVC products (not knock-offs), and they are ever so slightly different from the American reproducers. For the JVC Orthophonic, the isolator opening/tonearm opening are significantly smaller. The whole reproducers also look a little rounder and stouter. I'm still looking for a JVC Orthophonic with the smaller isolator opening if anyone has one! 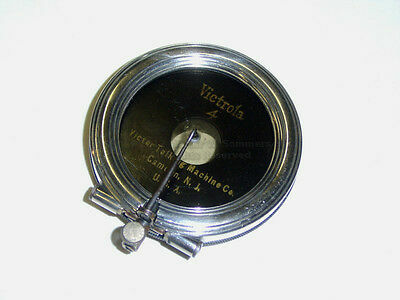 I have a Victrola No.4 reproducer just like this. Yes, the markings are correct. Especially since it was never apart until you rebuilt it. I use this on my outside horn Victors to play electrically cut records. Properly rebuilt and tuned, they sound as good as an Orthophonic, to me. Interesting... another one. Wonder what the story is on this? I'm not aware of any other machines that used the Vic 4 other than the 1-70 and a couple of the portables as OEM. Could this variant have been a dealer upgrade for early Orthophonic records like the Improved Concert was an upgrade for the Exhibition? 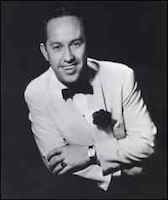 Edison Records - Close your eyes and see if the artist does not actually seem to be before you. I also have a few of the HMV no. 4s that I use on my Victor V, III, Edison A-250 with lateral attachment and elsewhere. They certainly sound good. Visit The Phonograph Company, an archive of gramophone, graphophone, phonograph and talking machine images and information. Also, visit The Phonograph Company on Facebook and on YouTube.